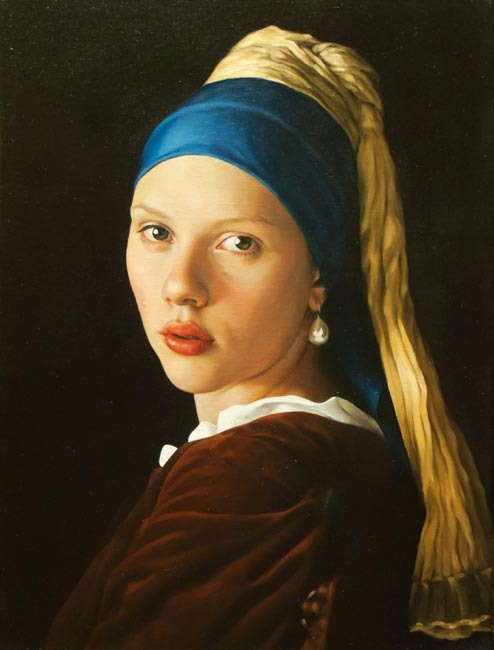 Girl with ear-ring artist - Yuri Kazantsev. Unfortunately the resolution of images does not fully show the detailes of the picture (signature and other small fragments). In the case if you are interesting to buy this painting we can send you high-resolution photos of this sample and photos of its fragments. This painting can be framed (handmade frames from different sorts of valuable wood: oak, mahogany, beech and so on) if it is necessary. This painting was presented on art exhibitions in Russia. If you wish to receive information about new samples in our art gallery, subscribe please for our news announcement letter. Sign your e-mail please and push the "Subscribe" button on the bottom of this page. All over the world shipping of portraits. Well-known artists contributing to OnlineArt Gallery will make your portrait, as well as portraits of your friends and members of your family, for you. You can order a miniature portrait, a breast portrait, a full-length portrait, a portrait with highly finished background details, a portrait of yourself in the costume of an 18th-century nobleman, a portrait of your favourite actor or writer, etc. It is hard to describe all possible variants. Making a classical portrait is a labour-consuming process, with a technique that takes a lot of time. First the artist sketches out the background and major details of the future portrait, and only after that will be proceed with careful finish of details. Normally, a finished oil portrait would have from ten to fifteen paint layers, and it means that the portraitist may continue work only after having each subsequent layer completely dried. It is for this reason that a portrait usually takes two to three months to be completed. Today, there is no need for you to visit the artist's studio and spend precious long hours in sitting for the portrait. You can comfortably order a portrait from your home. It is only enough to send us a few photographs of your own or a video cassette with a record of the events of your life - and have your portrait made and delivered to a place you name. In our gallery of portraits made to order, you may see photographs of earlier portraits, which will facilitate your own choice of the type of a portrait and the portrait-painter. Feel free to ask our Gallery managers any kind of questions by e-mail about ordering a portrait. The portraits of such celebrated people as writer Yuz Aleshkovsky, Josef Brodskij's portrait for the collection of the Brodskij Foundation (USA), the portraits of ballet stars of world renown Mikhail Barishnikov and Alexander Filippov, actors Michael York, Meryl Streep and many others were made by the artists working to the orders of OnlineArt Gallery.